The company's new small SUV is based on the Peugeot 2008 and will compete with the likes of the Nissan Juke and Renault Captur. Vauxhall has released details of its new SUV, the Crossland X. The small SUV (or CUV – crossover utility vehicle, as Vauxhall is calling it) is based on the Peugeot 2008, and will compete with the likes of the Renault Captur and Nissan Juke. The Crossland X is replacing the Meriva MPV, and the styling seems to reflect both the need to appeal to MPV drivers, and the ever-growing group of SUV-lovers. It’s got a high bonnet, big headlights, roof rails, and a rugged front bumper – giving it an SUV-like stance – but from the side, the high shoulder- and roof lines make it look more like a people carrier. Overall, it’s smaller than the Meriva. Vauxhall has given the Crossland X a two-tone paint job and a black C-pillar, and there’s scope for buyers to choose from a range of colours for the roof, too. Inside, things look a little bit like the Astra, with the dashboard, dials, switchgear and seats having a significant resemblance. However, the seats are set higher, and Vauxhall says they’ve been designed for better long-distance comfort, and improved legroom. In the back, thanks to the seats sliding back- and forwards, you can switch between extra legroom for taller passengers, or more boot space. With the seats in place and set right back, the boot stands at 410 litres. That increases to 520 litres with the seats forward, and 1,255 litres when the seats are folded flat into the floor. The dashboard houses a touch-screen, which is available in sizes of up to eight inches. It features Vauxhall’s IntelliLink infotainment system, Apple CarPlay and Android Auto. And, you can charge your phone wirelessly. Safety kit and driver aids include a rear parking camera, autonomous emergency braking, lane keep assist, traffic sign recognition and drowsiness detection. As the Crossland X is built on a platform shared with PSA Peugeot Citroen, it’s likely the engines will be a range of PSA units, but more details on this will be released later. The Crossland X is the first of five new models to join the Vauxhall range by 2020, and the second – the larger Grandland X, which will rival the Nisssan Qashqai and Renault Kadjar – is due later this year, possibly at the Frankfurt Motor Show. The UK order books for the Crossland X will open in March, with an official launch for the car in May, and the first cars appearing in showrooms in summer. Prices will be confirmed closer to the launch, but the car is likely to cost from around £15,000. 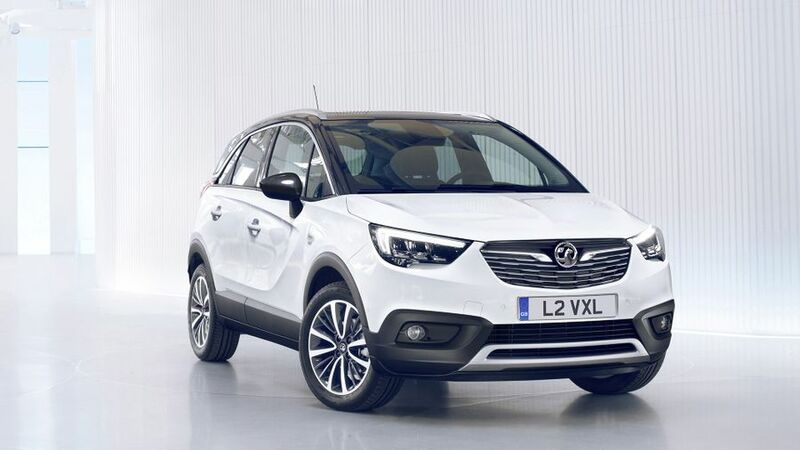 Interested in buying a Vauxhall Crossland X?